Councils can't fine littering motorists | What Car? Councils are unable to fine motorists who litter Britain's roads, because of a bureaucratic error. Legislation to help councils track and fine drivers who throw rubbish from their vehicles was set to be introduced earlier this year, but has been put on hold after the changes were made to the wrong law. 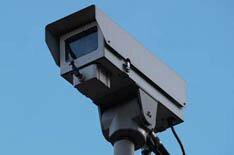 The new law would have enabled local councils to use evidence collected from CCTV footage and by traffic wardens to fine littering motorists. However, changes to the Environmental Protection Act, which are required to give councils extra powers, were made to an outdated version of the legislation, so the Bill could not be passed through Parliament.